If you are planning to buy a car this year then you must have thought about a budget and preference according to which you are going to buy the car. Right? Well, if this is your first time buying the car then you can choose to buy a second hand car. Many people choose to buy second hand car for the first time so that they can learn and gather experience by driving it and later on invest in a brand new car. No one wants to face any damage to their newly bought vehicle, to be honest. Due to the increasing demand for second hand cars in India, many companies are come up with genuine and certified second hand cars for the Indian people. Therefore, you will have no difficulty in finding the pre owned vehicle that will suit your needs the best. Owning a private vehicle is actually a very beneficial thing. You can travel from one place to another at any given point of time without having to wait for any public transport. When you have your own car, you travel in a much safer and convenient manner. There are several used cars under 2 lakhs in Faridabad that you have to choose from. Since it can get tricky to choose from a wide range of options available in the market. We have brought you a brilliant list of the top 5 pre used cars that you can buy under a price of Rs.2 lakhs in Faridabad. Keep reading the article and get to know more about them. Faridabad has some excellent local Pre-owned cars dealer who can offer amazing deals to you on second hand cars. All these cars are mostly certified and have gone through several checks before you can use them. In this list below you are going to read about the top 5 second hand cars that are available under a price of Rs.2 lakhs in Faridabad. Skoda is a popular and well known manufacturer of premium quality four wheelers in India. Their vehicles come with excellent engineering and technology which ensures that you get the maximum comfort and convenience. Skoda Fabia is one of those hatchback in India, which did not gain huge popularity like the Alto 800 or Hyundai i10, but it has surely impressed it’s users over the years. The interior of the Skoda Fabia are comfortable because of the addition of different kinds of equipments including air conditioner, in built Heater, the Adjustable Steering Column, Electronic Multi-Tripmeter etc. The dashboard and steering column has received a black tone finish and the seats have been covered with plush beige colour. Behind the steering the driver will get the speedometer and a panel which shows important information regarding fuel and mileage. The Fabia has received a rather boxy design which slightly elongated at the front. The headlamps have been stretched to give a more aggressive look. The chrome plated front grille looks stunning and shiny that comes with a vertical finish for better looks. Here are some more interesting features of the Skoda Fabia. > The Skoda Fabia is available in 3 different engine variants – 1.2 liter – 3 cylinder petrol engine, 1.6 litre – 4 cylinder engine and the 1.2 TDI CR DOHC engine that comes with 3 cylinders. > The 1.2 litre petrol engine produces a power of 75bhp at 5400 rpm, 1.6 litre petrol engines produces 105bhp of power. Whereas the 1.2 TDI diesel engine delivers 75bhp of power at 4000rpm. > All the engines are coupled with a 5-speed manual gearbox transmission which delivers excellent control over the vehicle. > With a top speed of 158kmhr the Skoda Fabia can reach a speed of 0-100kmph in just 15.4 seconds. > The front suspension is controlled by the McPherson Suspension With Lower Triangular Links and Torsion Stabiliser in the rear. > Power Windows Rear, Power Windows Front, Power Steering, Air Conditioner provides more convenience to the passengers. The eight Adjustable Front Seat Belts along with Cup holders in the rear and front helps you to enjoy your ride even more. > Direct Injection System coupled with 4-valves per cylinder, the Skoda Fabia gives out the maximum power and torque. > Rear Window Wiper, Rear Window Washer and the Rear Window Defogger on the outside, enables you to drive safely in harsh weather. The Skoda Fabia is a brilliant choice for pre-used vehicle on Faridabad which you can get under a price of Rs.2 lakhs. It comes with a promising engine performance and well laid interior features which are really worth the money you pay for. It is a good pre owned cars in Faridabad which is being used by hundreds of customers. 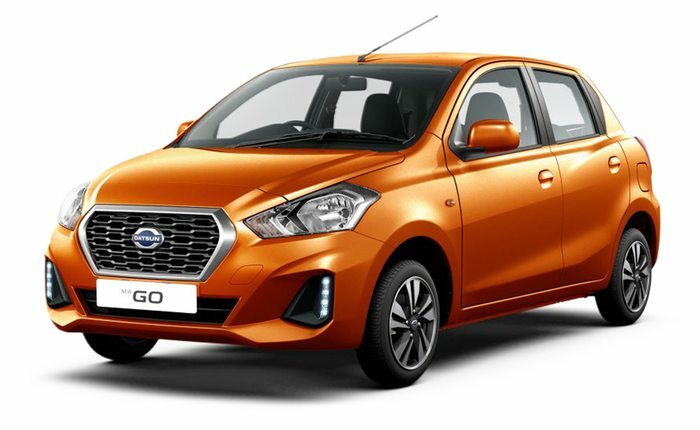 Datsun Go is a good looking and advanced hatchback that offers more value to the Indian consumers than most of the other competitors in the market. The Datsun Go has sharp and clear features that look really well on the overall appearance of the vehicle. It has several variants which include ride-GO D, red-GO A, red-GO T, ride-GO T (O) and the ride-GO S. All of them come with different features that make them different from each other. The LED drls of the Datsun Go looks sophisticated and absolutely premium when they are turned on. The riders get different driving modes between which they can switch in. Datsun has built the vehicle with a ground clearance of 185mm that gives more stability to the vehicle but does not interfere with the comfort inside the cabin. The cabin has good boot space of 265 litres that is enough for a family of 4-5 people travel peacefully. The cabin is not very compact that enables the passengers to sit comfortably for a long period of time. The leg space is also ample for the rear passengers. Have a look at some more features of the Datsun Go to know more about it. > 800cc, 3-cylinder, DOHC petrol engine produces a maximum power of 53.2 BHP at 5678 RPM. It also delivers a mileage of 18.9kmpl in urban cities and 23kmpl on highway conditions. > The Datsun Go is available in another variant of the engine which produces a displacement of 999cc at 91bhp. It delivers good fuel economy on both urban and highway conditions. > Dual-airbags, Anti-Braking System, Electronic brake force distribution, rear parking sensors have been added to the vehicle to make the vehicle safer than other competitors. > You will be delighted to know that there is a 7-inch touchscreen infotainment system present in the Datsun Go on the higher variants. This system also supports Apple CarPlay and Android Auto. > 14 inches of alloy wheel gives the vehicle a premium look and better control over every road or terrain you are driving it in. > The Datsun Go also supports a music system that can be connected to via Bluetooth, USB and Auxiliary and you can also listen to the radio. > Ruby Red, Opal White, Crystal Silver, Bronze Grey and Amber Orange are the different colours in which the vehicle is available. Datsun Go is one of the most used cars in Faridabad which makes it more promising for you to buy and use. The vehicle has some amazing safety features which are available in all the variants and therefore you get top class safety as well making your ride more enjoyable. Datsun four wheelers come with modern features and the higher variant your purchase, the better your inbuilt features become. The individuals who want to purchase a second hand vehicle at a price less than Rs.2 lakhs can surely choose the Maruti Suzuki Ritz. In Faridabad, there are several authorized dealers who deal with the Ritz and therefore you will have no issues in finding the best car for your needs. The Maruti Ritz perfectly closes down the gap between style and economic savings as well. This is because it comes with a unique body construction and it also has budget centric engine performance and mileage. Maruti Ritz is a compact hatchback that is available in both the diesel and petrol variants. The Ritz has a boot space of 236 litres and that is ample enough for 4-5 people sit comfortably. Maruti has provided some interesting personalization in the interior decoration of the Ritz. The buyers can choose from a black-red, all-black and black-beige colour combination for the seats and upholstery. So you can choose the style which suits you the best. The doors are placed nicely so that the passengers and drivers can get in and out very easily. Now, we will discuss about the different features of the Maruti Suzuki Ritz that will give a more detailed overview. > The diesel engine of the Ritz comes with a 1248 CC displacement and the petrol engine has a 1197 CC of displacement. The petrol engine gives a mileage of about 17.6kmpl and the diesel variant gives 23kmpl of mileage. > The maximum power of the vehicle is 85.80bhp at 6000rpm and the maximum torque of the Ritz is 114Nm at 4000rpm. The vehicle has been configured with DOHC valve configuration and there are 4 cylinders present with 4 valves each. > The front suspension has the MacPherson Strut and the rear suspension is controlled by the Torsion Beam type. The tyres that have been provided are tubeless and radial in nature. > The Ritz has some amazing safety features which include the central locking, child safety locks, Cornering Lights, Engine Immobilizer, and automatic Headlamps. > The ARAI mileage of the petrol variant engine of this vehicle is 18.5 kmpl. It is a perfect five seater car for a small family and a long ride. > Rear Parking Sensor and rear parking camera ensures that you can park your vehicle safely without any hassle. > Electric Power Steering makes sure that you are able to control the vehicle without any worries by providing maximum stability. > Bakers Chocolate, Silky Silver, New Granite Grey, New Mystique Red, Superior White and the New Breeze Blue are some colours to choose from. The Maruti Suzuki Ritz is a brilliant choice for those who are looking for an excellent hatchback that will help them to travel anywhere they want to with their families. The Ritz comes with class apart safety features, even though they are available in the higher variants, they are surely a welcome feature. The company has also provided ample personalization to the users. Hence, with so many different features it is one of the best used cars under 2 lakhs in Faridabad. The Chevrolet Beat is one of the most sold vehicles that has been manufactured by the company in India. The Beat offers a good and powerful performance that will be more than enough to help you commute in the city. The cabin of the Beat is not the most spacious that you have seen, but it is not uncomfortable either. Passengers can easily adjust for a long drive and rest well in the good cushioned seats. The interiors are quite spacey with ample space for four people to sit comfortably. The interiors have a all black finish that looks great and premium in the fabric finish of the seats and head rests. The dashboard also features a music system that can be connected via aux or bluetooth. The Beat is available in different variants like the Beat LTZ, Beat Diesel PS, Beat LT, Beat LS, Beat PS. The most distinctive feature of the Chevrolet Beat is it’s elongated headlamp that is absolutely unique. Have a look at some more features of the Beat. > 2-litre 76.8bhp 16V S-TEC II Engine comes with the petrol car which delivers 76.8BHP at 6000r pm and the diesel car has a 1.0-litre 56.3bhp 12V XSDE Engine that produces 56.3BHP at 4000rpm. > The petrol variant engine of the Chevrolet Beat has a displacement of 1199 cc and the diesel variant comes with the 936cc of displacement. 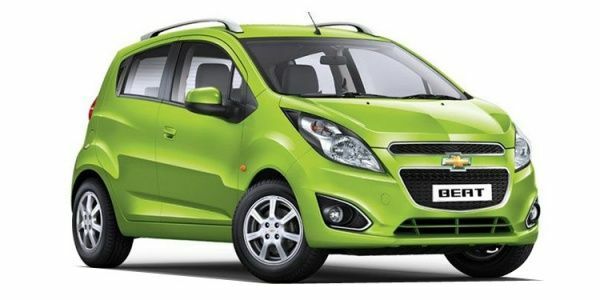 > Chevrolet Beat comes with 2375mm wheel base and a ground clearance of 175mm. > Different safety features like the Driver Airbag, Passenger Airbag, Child Lock etc. have been made available in the Chevrolet Beat. > The Chevrolet Beat has a brilliant suspension system with MacPherson strut in the front with a rear suspension of Compound crank. > Remote Fuel Lid Opener, Low Fuel Warning Light, Accessory Power Outlet etc. are some exciting features which enables the users to get the best convenience while riding the car. > Sand Drift Grey, Linen Beige, Caviar Black, Green Cocktail, Super Red, Summit White and Switch Blade Silver are the colours made available to the users. The Chevrolet Beat is undoubtedly a brilliant choice for a hatchback under Rs.2 lakhs. It has important features and brilliant systems which allow the driver to get a smoother and fluid driving experience in any condition they are driving the car through. The Beat comes with amazing engine performance and urban driving abilities to the riders. It is a popular used car under Rs.2 lakhs in Faridabad that will give you excellent value. Ford Figo is one of the top hatchbacks that is available in the Indian market on second hand under a price of Rs.2 lakhs. The Ford Figo is one of the best used cars in Faridabad that you can get your hands on. The Ford Figo has two major options i.e. the petrol and diesel. Some of the variants include – Figo Petrol LXI, Figo 2010 Petrol ZXI, Figo 2010 Diesel EXI, Figo 2010 Diesel ZXI and the Figo 2010 Diesel Titanium. The Ford Figo looks much spacious and longer than most of its competitors like the Maruti Suzuki WagonR or Datsun Go. The Ford Figo has an attractive hexagonal grille which looks modern and aggressive and enhances the overall feel of the car. Its boxy headlamps have received a chrome bezel. Inside the cabin, the Ford Figo is well laid and designed brilliantly. It has received a black tone makeover which looks absolutely premium. The seats have a brilliant cushioning which provides extra comfort and ease to the passengers. The Ford Figo also features a heads-up display in the top variants which is not seen in many vehicles of this segment. 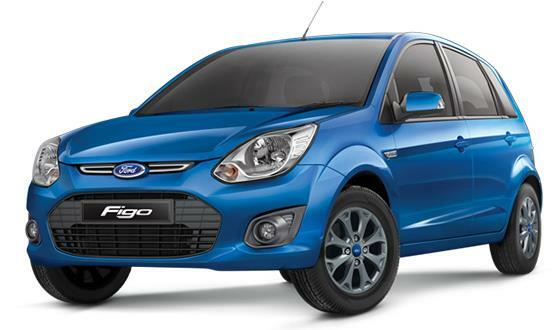 > The Ford Figo has two major engine variants – the 1399 cc diesel engine and 1196cc petrol engine. Both these engines are capable of producing enough power for everyday usage. > The 1.2L 70bhp Petrol Engine gives out 70bhp at 6250rpm whereas the 1.4L 68bhp Diesel Engine and is capable of producing 68bhp at 4000rpm. > Both the petrol and diesel engines are able to provide a satisfactory engine performance that takes the car from 0-100kmphr in just 15.5 seconds and that deserves applause. > The petrol engine gives a mileage of 11.2kmpl in the city and 15.3kmpl in the highway. On the other hand the diesel engine delivers 14.4kmpl urban and 18.2kmpl highway mileage. > Dual Airbags, Front-Impact beams and ABS have been provided in the Ford Figo and they make the car a much safer and convenient for the drivers to drive it in any condition. > Deep Impact Blue, Moondust Silver, Ruby Red, Sparkling Gold, Absolute Black, Oxford White and Smoke Grey are the colours that are made available to the users. Ford Figo has some amazing features that make it one of the best in class hatchback under Rs.2 lakhs. It has all the necessary safety features that make it much safer and the amazing engine performance deserves a mention as well. It is one of the top used cars in Faridabad that you can choose to buy. Ford has several service centres all over the country which makes it easier for you to take the vehicle for servicing anytime you want to. Final Verdict – if you have read the article till this point then you are now aware of all the top 5 cars that are available under a price of Rs.2 lakhs in the city of Faridabad. So what are you waiting for? Contact your nearest dealer and get hold of your favourite car from this list. We have discussed in details about the top 5 vehicles which will give you the best convenience and performance in every sense.